Manufactured using a 67/33 Poly/Cotton fabric which is hard wearing yet comfortable, these trousers are practical enough for extensive field use. 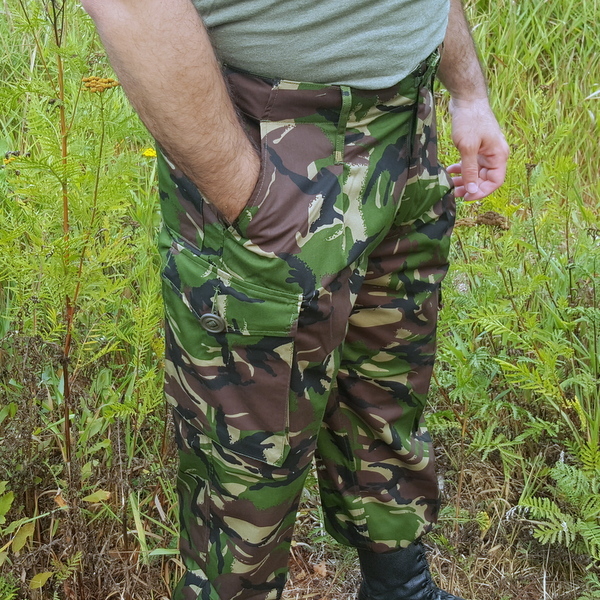 Zip fly with top button fastening, these trousers have adjustable tabs at the waist for precise fitting and an internal drawcord for security. Large 3 inch belt loops accommodate a variety of cargo and duty belts with spacing for knife pouches or holsters if required. 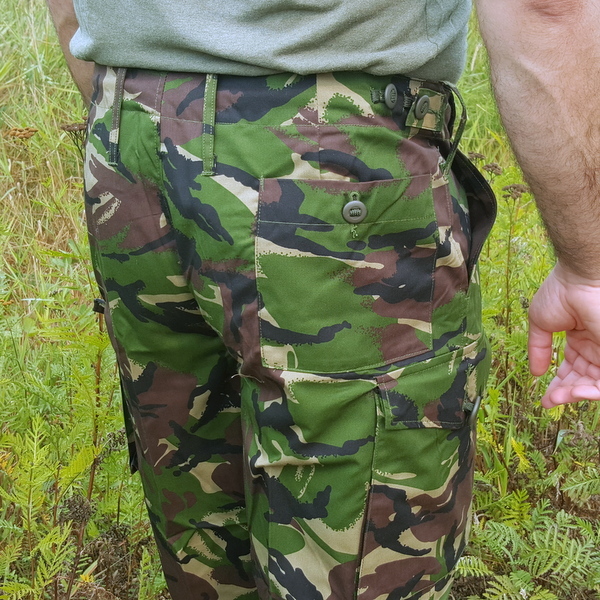 Two front hip pockets are provided as well as a button fastening right rear pocket. 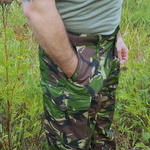 Cargo pockets on each leg are fastened by large slotted buttons. Big enough for maps and planners, their cut allows for expansion to accept larger items. 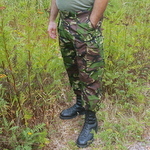 The bottom of each leg is fitted with a soft cotton drawcord, allowing the trousers to be bloused over the boots. Recent operational practise has been to fold up the trouser leg a few turns for comfort and ventilation. These garments are no longer in production and so new and unissued condition ones like these are extremely rare now. 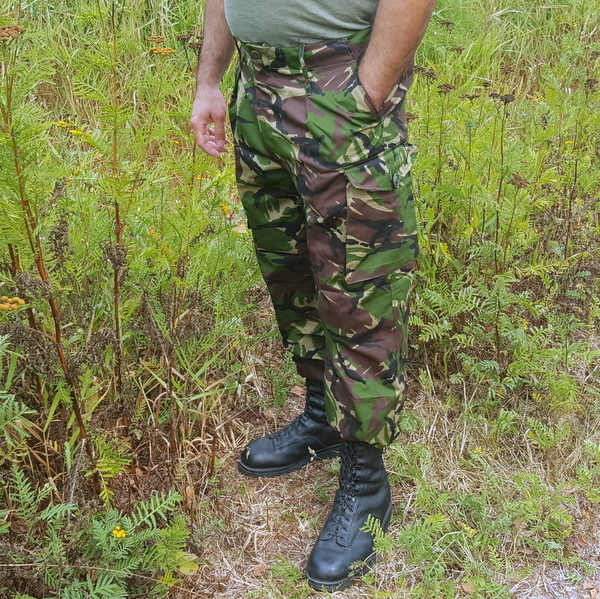 Our stock is direct from Military war reserves and sizes are limited so order while they are still available. Sizes in centimeters by Inside Leg/Waist/Seat are shown on the drop down menu below.